Expeditionary Technology Search narrows Army-funded competition from over 350 proposals to 12 contenders for $200,000 award. When Dr. Bruce Jette, assistant secretary of the Army for acquisition, logistics and technology (ASA(ALT)), launched the Army Expeditionary Technology Search (xTechSearch) in June 2018, the focus was to start a conversation, lower barriers to engaging industry and build trust with small businesses and startups. Thus they could rapidly develop new, innovative technologies for the Army using a new paradigm of prize competitions, thus connecting with small nontraditional businesses in a way that cuts bureaucracy and streamlines cumbersome administrative processes, while increasing mentoring and partnership opportunities. Accordingly, the Army structured the xTechSearch program as a prize competition with a minimal requirement for entry—a 1,000-word whitepaper describing the technology. 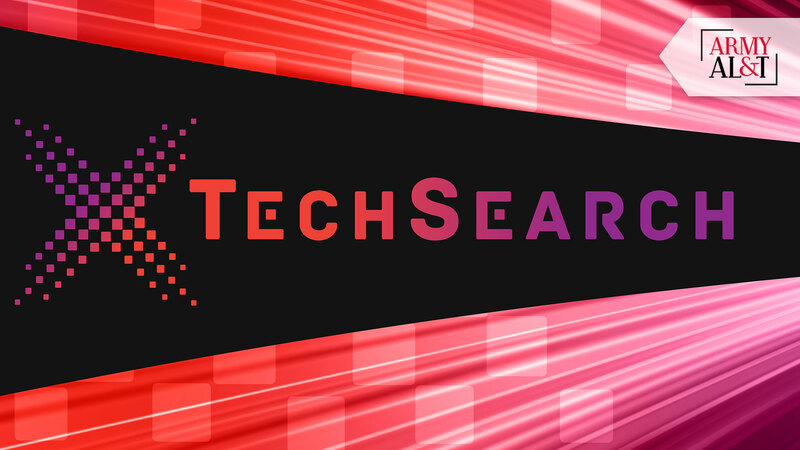 To maximize outreach to elements of the technology sector that traditionally would not do business with DOD, the Army advertised xTechSearch broadly, including on Challenge.gov, FedBizOps, venture capital platforms and media venues including national media (e.g., Engadget, Mashable), government periodicals, Twitter and Facebook. As the U.S. Army Research Laboratory (ARL) described xTechSearch on its website, the solicitation requested “innovative technologies and ideas” from the nontraditional defense community—from concepts to fielded products—“that can solve Army challenges” for the future battlefield by supporting its six modernization priorities. More than 350 companies submitted papers for Phase I of the competition. The companies represented a wide spectrum of the country, including 42 states; 70 percent of those companies had no previous engagement with the Army, with 40 percent of those having no previous engagement with the government. After a rigorous technical review of the whitepapers, senior technologists from several Army laboratories and scientists, engineers and operators from ARL, the Army Capabilities Integration Center, U.S. Army Special Operations Command and the DASA(R&T) selected 125 companies, or 35 percent of those that had submitted technology concepts. Over 100 Army scientists, engineers and warfighters participated in the technical review. Each of the 125 companies received $1,000 and an invitation to Phase II of xTechSearch, in which they would pitch their concepts to a panel of Army experts, including laboratory scientists and engineers, operators and technology transfer leads. During this phase, each company identified the ARL Open Campus location, of several across the country, where they wanted to make their venture capital-style pitches. The locations included Playa Vista, California; Chicago; Austin, Texas; Boston; and Adelphi, Maryland. ARL’s Open Campus concept is a science and technology ecosystem that encourages groundbreaking advances in basic and applied research areas of relevance to the Army. Through the Open Campus framework, Army scientists and engineers work collaboratively, usually in the same location, with visiting scientists from academia and industry. The panel of experts evaluated each pitch based on its potential to impact or revolutionize the Army, its scientific and engineering viability, and the product team’s experience and abilities. After review, the Army invited 25 companies to Phase III of xTechSearch. Phase III conferred a $5,000 prize and exhibit space in the Innovator’s Corner at the 2018 Association of the United States Army (AUSA) Annual Meeting and Exposition in October in Washington. The networking was also valuable to the Army; Russell said the bigger impact of the xTechSearch competition was “increasing our network of people in our ecosystem and to try and think about how we solve Army problems.” Feedback from one company was that the networking talk opened up many new possibilities. Phase III culminated in Russell announcing the 12 finalists at the AUSA event, with Jette attending to provide his congratulations. (See insert for the list of finalists.) Each of the 12 received $125,000 and an invitation to participate in the final phase of xTechSearch, a capstone demonstration in spring 2019 in which the companies will showcase a technology proof of concept to Army leadership. At the capstone demonstration, one company will receive the top $200,000 award. For the long run, the major benefit that all the companies gained from the xTechSearch competition was understanding the spectrum of opportunities that exist to engage with the Army research community. In addition, through the questions and concerns presented by the small businesses, the companies began to understand the technical challenges the Army is trying to solve—without all the red tape. The Army plans additional xTechSearch initiatives in 2019, showcasing it again at the Innovator’s Corner of the AUSA Global Force Symposium and Exposition, scheduled for March 26–28 in Huntsville, Alabama. The conversation for innovative solutions to Army challenges will continue. For more information, contact usarmy.pentagon.hqda-asa-alt.mbx.xtechsearch@mail.mil. DR. MATT WILLIS is the director for laboratory management in the Office of the Deputy Assistant Secretary of the Army for Research and Technology (ODASA(R&T)). As such, he shapes policies that impact the workforce, infrastructure, technology transfer, and science, technology, engineering and mathematics educational outreach at the Army science and technology research laboratories. He holds a Ph.D. and an M.S. in chemical engineering from the University of Illinois at Urbana-Champaign and a B.S. in chemical engineering from Cornell University. He is Level II certified in S&T management and is a member of the Army Acquisition Corps. MS. JENNIFER SMITH was detailed during 2018 from the Engineer Research and Development Center‘s Geospatial Research Laboratory to (ODASA(R&T)) and served as the deputy director for laboratory management. She holds an M.S. in geospatial intelligence from George Mason University and a B.S. in physical science from the University of Maryland. This article will be published in the January – March 2019 issue of Army AL&T magazine.